Over the past two decades, small groups have gone from spontaneous gatherings among friends to a major and elaborate phenomenon in the church. Many evangelical churches have some form of small groups ministry in place. But there&apos;s just one problem, says Bill Search--what started as a simple get-together has become a complicated process, especially for small group leaders. They are often not sure what is expected of them or what to expect from their groups as a result of their efforts. In Simple Small Groups, Search lays out the three C&apos;s of small groups--connecting, changing, and cultivating. This paradigm helps to simplify leading small groups in a way that is helpful, rewarding, and life changing. 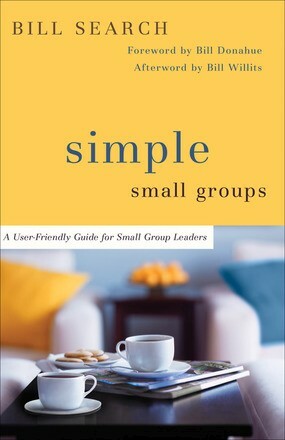 Unlike many other books geared toward small group leaders, Simple Small Groups does not require a church-wide adoption of an intricately designed system of assimilation, making it useful to any small group leader looking for guidance.